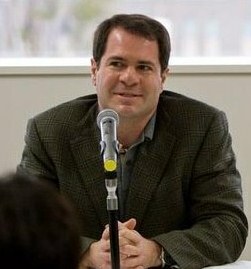 Born in Philadelphia in 1965, Robert K. Fitts graduated from the University of Pennsylvania in 1987 and earned a Ph.D. in Anthropology from Brown University in 1995. As an archaeologist, Fitts specialized in slavery in eighteenth-century New England and in Victorian New York City. In 2000, Fitts left archaeology to focus on his passion – Japanese Baseball. His articles have appeared in The National Pastime, Baseball Research Journal, Journal of American Culture, Tuff Stuff and on MLB.com. His first book, Remembering Japanese Baseball won the 2005 Society of American Baseball Research & The Sporting News Award for Best Baseball Research. His second book, Wally Yonamime: The Man Who Changed Japanese Baseball, is a biography of the first American to play professional baseball in Japan after World War II. His forthcoming book, Banzai Babe Ruth: Baseball, Espionage, and Assassination during the 1934 Tour of Japan (University of Nebraska Press, 2012) is the story of the attempt to reconcile the United States and Japan through the tour of Major League all-stars in 1934 and the efforts of fanatical ultra-nationalists to drive the nations apart. Rob shares an interesting aspect of the Babe that he learned while doing “Banzai Babe Ruth”. Rob discusses Babe’s image and recognition in today’s Japan. Rob discusses his passion for Japanese baseball. Fitts share his experience with his most interesting interview for the book, Julia Ruth Stevens. Rob shares thoughts on Ruth the player and the person. Rob shares his thoughts on the today’s media portrayal of the Babe. Rob educates BRC fans on how baseball was introduced to Japan. Rob shares his thoughts on baseball today in Japan. Rob Fitts share his ultimate goal for his book Banzai Babe Ruth.